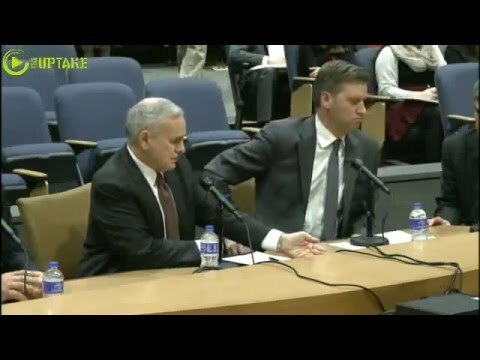 Minnesota Public News posted a recent article about how Governor Mark Dayton is resisting the efforts of the more fiscally concerned state representatives, to eliminate the state taxes on social security benefits. The Republicans in the Minnesota House are arguing that people are leaving the state because of the high tax climate, and that sweetening the deal for retirees will help them stay put. Mark Dayton and His democratic supporters argue that the government would be able to handle the money in a more effective manner than the retirees would – causing them to argue that retirees earning above $32,000 a year don’t deserve the tax relief. Will the low tax rates of Florida, Arizona, South Dakota and Texas cause Minnesotan’s to make those states their primary residence? Minnesota is one of the “Worst of the Worst States” Concerning Taxes. Did You Know Social Security is either 0%, up to 50%, or up to 85% Taxable? You and your employer split a 12.4% tax applied to all of your income, up to the social security limit of about $118,000. Your employer has a 6.2% friction on their wages, and then you pay 6.2% – just to have a social security benefit. $50,000 a year Salaries Pay $6,200 to Social Security Annual. While the employee only pays 6.2%, the employer pays the other half. Then Health and Human Services department takes that money and (pretends to) put it into a trust fund in order to pay out a guaranteed benefit in the future. That means the government is taxing you and your employer, and then paying you a benefit when you get older. The great question is, should that benefit be subject to even more tax? As it stands right now, the answer is yes. What state the new Baby-Boomer retiree’s will choose to become primary residents in will largely be determined by healthcare facilities, services, and the tax rates on all their benefits. Do You Know Whether 0%, 50%, or 85% of your Social Security will be subject to Income Tax? Do you Know How Close you’ll be to the provisional income thresholds which determine those taxes?